You see these type of vehicles from time to time, a 4×4 with a (insert car name here) body dropped on top. In many ways it’s one of those ‘What if’ experiments, but the reality is usually if you want a 4×4, buy a dedicated one and the same for a pony/muscle car. But as humans we like to test these theories out in reality and this is one such creation. Take one 1969 Pontiac Firebird and a Blazer 4×4 and marry the two. 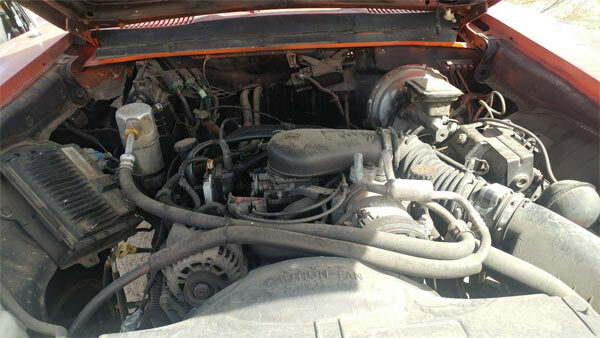 The seller says that this creation is a driver, but no mention of its true off-road capabilities. From the look of the size of the tires compared to the wheel arches you don’t want to be bouncing around too much in this thing. Let’s say everything checks out on this mobile, it still really comes under the novelty category as serious buyers will either opt. 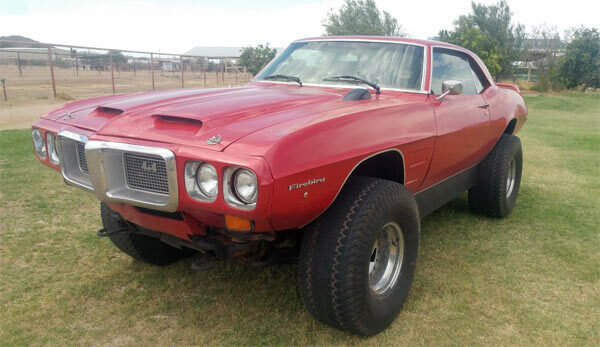 for a straight, untouched Firebird or a 4×4, depending on their wants and needs. At a current bid of $4,322.00, the price may not go up that much and if you want a bit of novelty in your life, this may be the ride for you. 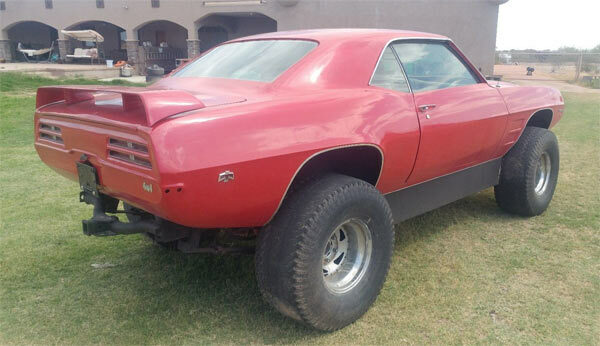 Related Items1969 Pontiac Firebird 4x4? ?